Wilderness Park, where I stopped by yesterday for a quick visit, is probably Downey's prettiest park (although you wouldn't know it by this particular view). So it's natural that people want to hold their weddings or quinceañeras at this park. 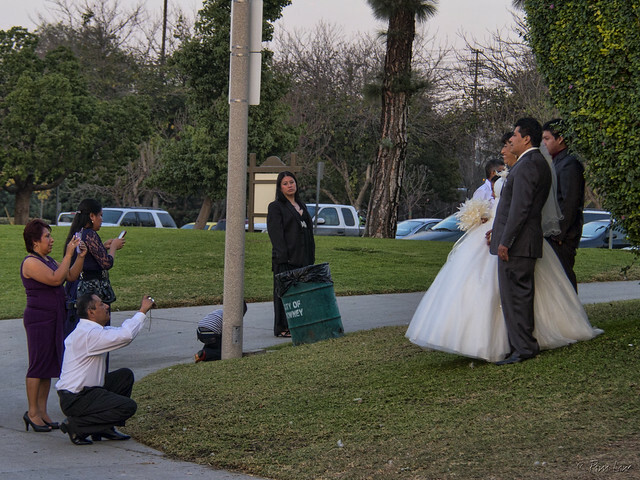 It's not unusual to see many wedding and quinceañera parties scattered around the park. 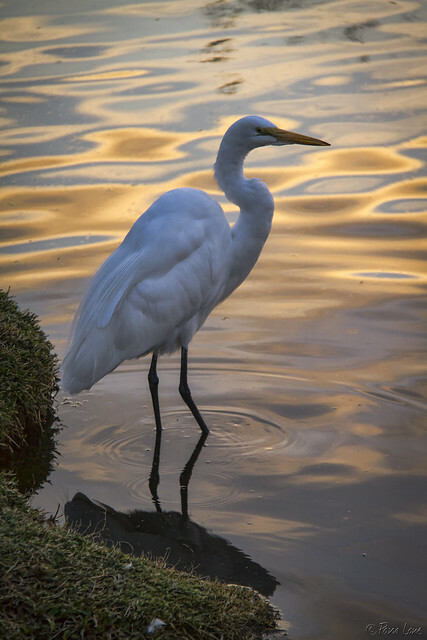 However, it was sunset when I stopped by, and I think this couple was posing for a last-minute shot before they left, while their remaining friends and this great egret looked on. Denise and I were one of the first to get married in that park -- way back in 1979! I thought of you guys when I checked out the groom's shoes this weekend!